Here's a great gift! Head over to get one of these Double Wine Bottle Totes for ONLY $9.99 (Retail $16)! 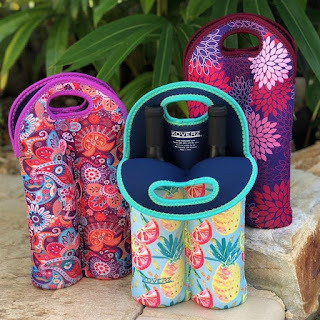 Whether you're heading to a gathering with friends &amp; family or bringing a couple bottles home from the grocery store, these Wine Totes are ideal for protecting and insulating your favorite beverages while making it easy on you to carry. Choose your favorite style and stop worrying about glass bottles rolling around or breaking in your vehicle during transport.